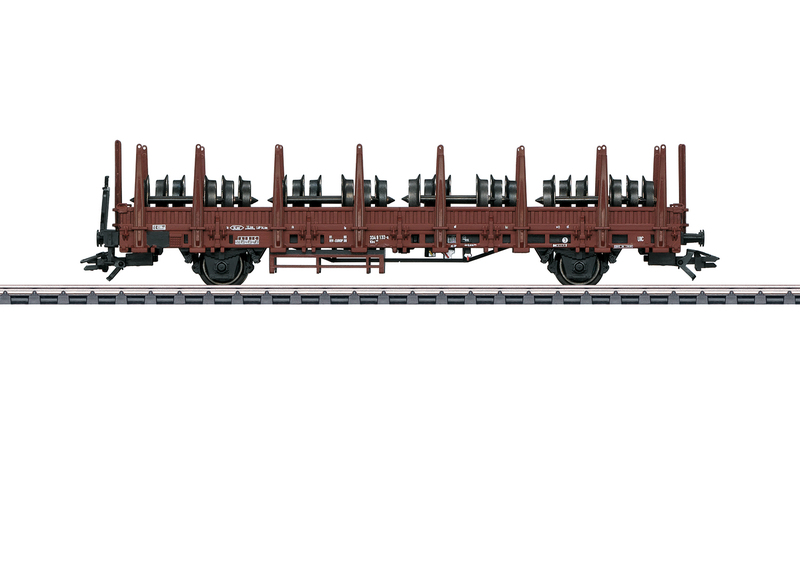 Prototype: Type Kbs 442 2-axle stake car, with a brakeman's platform, low side walls and plug-in stakes. German Federal Railroad (DB). The car looks as it did around 1982. Interesting and prototypical load with wheel sets. 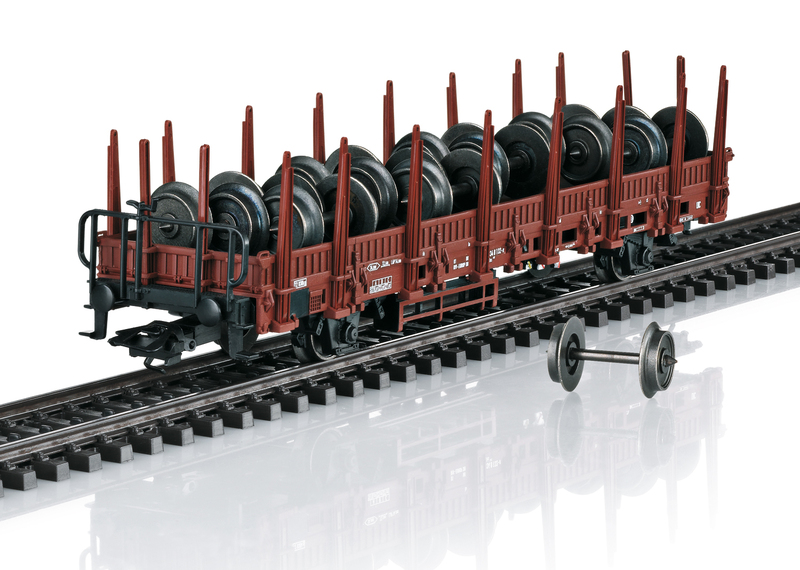 Model: 12 solid wheel sets are included as a prototypical load. 16 stakes for the sides and 4 stakes for the ends are also included to mount on the car. Length over the buffers 15.7 cm / 6-3/16". DC wheelset E700580. Also available as a Swiss stake car under item number 46937.